We’re looking forward to seeing you in Pittsburgh in just a few days! For those of you making your way this week, we have travel information, including transportation to and from the airport as well as a restaurant list, posted online at: http://writingcenters.org/events-2/past-conferences/iwca-2015-writing-center-revolutions/pittsburgh-travel-information/. All meeting rooms will be equipped with a projector. Presenters should bring their own computers; Mac users should bring an adapter cord. To prep for the conference, we’re providing you with a list of ten things to look for at the conference, from beginning to end. Don’t miss out on these fun and informative events! Beat the Thursday morning rush by getting to the registration table on Wednesday evening, 5-7pm. The conference starts early Thursday morning, so get a head start by grabbing your conference materials on Wednesday night! Come listen to conference keynote speaker Dr. Ben Rafoth, Indiana University of Pennsylvania, as he starts the conversation about writing center (r)Evolutions! Join Brandon Hardy, East Carolina University, as he facilitates a Google Hangout conversation with peer tutors from Europe. IWCA regional and affiliate organizations, as well as NCPTW, have been provided meeting space on Thursday night. This is a great chance to conduct business and/or network. The Upper Scenes Lounge will be the spot for a social gathering of two-year college writing center directors and tutors. Are you a new writing center director who wants to be paired with an experienced writing center director? Are you interested in becoming a mentor and sharing your writing center expertise? Then the IWCA Mentor Matching program is for you. Join us in Ballroom 1 for a social gathering! Awards will be announced, grant recipients will be recognized, and announcements about new IWCA initiatives will be made! Want to know more about what’s going on with the IWCA? Want to learn how to get involved? Join us for this Town Hall-style conversation with IWCA Board Members. 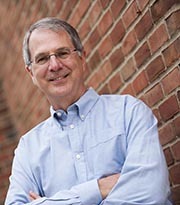 Dr. David Sheridan will offer a featured session on Saturday at 6:30pm at the Bricolage Theatre, near the Wyndham. Light food and drink will be provided. Please reserve your spot online at http://goo.gl/forms/Cxw3YcUh4e. Also, this year, the IWCA Outreach Committee would like to invite you to become a more active participant at IWCA by sharing your ideas and experiences via social media. The official conference hashtag is #IWCA15, and all sessions and events in the conference program have been assigned their own hashtags. Follow IWCA at http://twitter.com/IWCA_NCTE and on Facebook at http://tinyurl.com/iwca-ncte. And keep up with our blog for information about conference happenings, including several contests: https://iwcablog.wordpress.com. You can download a copy of the 2015 IWCA program at http://studio.eku.edu/sites/studio.eku.edu/files/files/Program_Full_NotForPrinta.pdf. IWCA is pleased to announce the winners of our July Research Grants. The July 2015 IWCA Research Grant has been awarded to Dawn Fels, Clint Gardner, Maggie Herb, and Lila Naydan for their research on the working conditions of non-tenure line, contingent writing center workers. The July 2015 IWCA Ben Rafoth Graduate Research Grant has been awarded to Rebecca Hallman for her research on writing center partnerships with disciplines across campus. Congratulations to our winners, and thanks to all who applied! IWCA Elections Are Open — Vote Today! The IWCA is currently holding an election for three open positions: Vice President, Secretary, and Treasurer. These terms begin at NCTE in Fall 2015 and are two-year terms. The VP is a six-year commitment: VP becomes president in Fall 2017 and then past president in Fall 2019. Duties of each office are described in both the IWCA constitution and in the bylaws (http://writingcenters.org/about/iwca-constitution/). The election will begin at 12:01 am on Monday, August 17, and ballots must by cast by midnight Eastern Daylight Time on Monday, August 31, 2015. Votes will be cast electronically and anonymously. Only current IWCA members are permitted to cast votes. If your membership has expired, now is a good time to renew so you won’t miss this year’s election. Visit http://iwcamembers.org to vote or to renew your membership and vote. #IWCA15 Keynote: Warhol in the Writing Center with Dr. Ben Rafoth! Be sure to join us at #IWCA15 on Thursday, October 8 at 8:45am for the conference keynote,“Faces, Factories, and Warhols: A r(Evoluntionary) Future for Writing Centers” given by Dr. Ben Rafoth of Indiana University of Pennsylvania. The combination of revolution and evolution, the theme of this conference, invites us to think expansively and even radically, and today I would like to do just that. The annual meeting of the IWCA offers a fresh perspective on the particulars of our lives and work–the kind of fresh perspective you sometimes feel when you experience great art. The extraordinary creativity of an artist like Warhol is easy to take for granted, in part because Warhol and his followers helped to shape the world we live in today. That is the amazing, and terrifying thing about revolutions and revolutionaries–they never leave the world as they found it. And so if we want to make a difference, it pays to study those who have done so. What can we learn about writing centers from Andy Warhol? 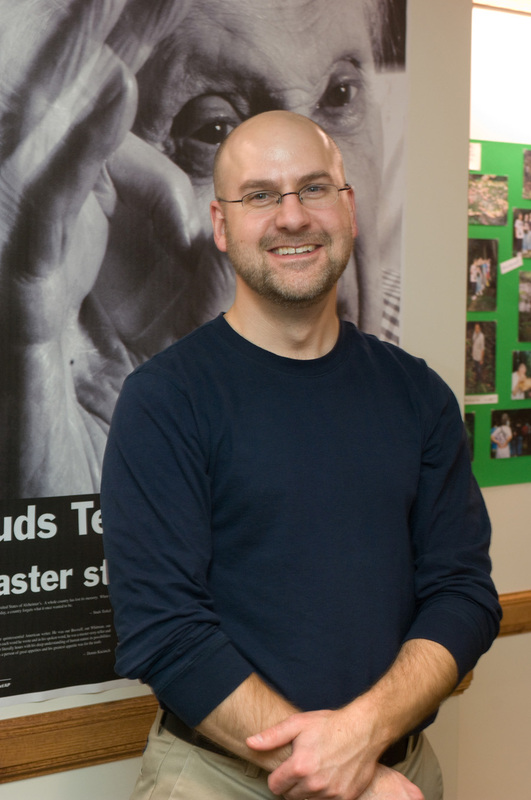 #IWCA15 Featured Session: Makerspaces with Dr. David Sheridan! Be sure to join us at #IWCA15 on Saturday, October 10 at 6:30pm for this featured talk, “We’re Making It! : What Can Writing Centers Learn from Makerspaces?” given by Dr. David Sheridan of Michigan State University. Recent years have seen the emergence of makerspaces: community gathering spaces where people can access old and new tools for making things. At makerspaces, one often encounters the latest digital fabrication technologies, like laser cutters and 3D printers. But one also finds more traditional making tools as well, including kilns, looms, and sewing machines. It’s not uncommon to encounter traditional writing technologies, like movable type and letterpresses. Even more important than these technologies, however, is the fact that makerspaces are populated with people devoted to helping each other put these old and new tools to creative use. What can writing centers learn from these spaces? This presentation builds on some striking commonalities that writing centers and makerspaces share: a commitment to peer-based learning and collaboration; a desire to create a safe space for risk-taking and experimentation; a healthy disregard for more formal educational structures; and, of course, the goal of nurturing processes of making themselves (variously referred to as “composing,” “designing,” “creating,” and “inventing”). Indeed, writing centers have always been a kind of makerspace. At the same time, I argue that these new spaces can teach us something. I examine practices of play, spontaneity, and technology-use found in makerspaces in order to suggest some lenses for refreshing our vision of writing center work. #IWCA15 Registration Deadline is August 8! The 2015 IWCA conference is going to be exciting, and you won’t want to miss it! We hope that you will plan to join us in Pittsburgh to examine the theme, Writing Center (r)Evolutions. With a fabulous program of sessions and Ben Rafoth as the keynote speaker, this year’s conference will create many opportunities to share and imagine innovations in writing center pedagogies, practices, spaces, and programs. We hope you can join us and participate in these dynamic and exciting conversations. The registration deadline to appear on the conference program is August 8. To accept an invitation to appear on the conference program, please make sure to register before the deadline. Make sure to reserve your room at the Wyndham Grand Pittsburgh Downtown soon, as we’re expecting a great crowd: http://bit.ly/1HhBqB7. You can follow the 2015 IWCA conference updates at #IWCA15 and @IWCA_NCTE. The winners of this year’s #IWCWeek drawing have been revealed! Congratulations to Karen Hunter of the Apex School of Theology in Durham, NC, who became an IWCA member during #IWCWeek. Karen wins a copy of Ben Rafoth’s new book Multilingual Writers and Writing Centers! 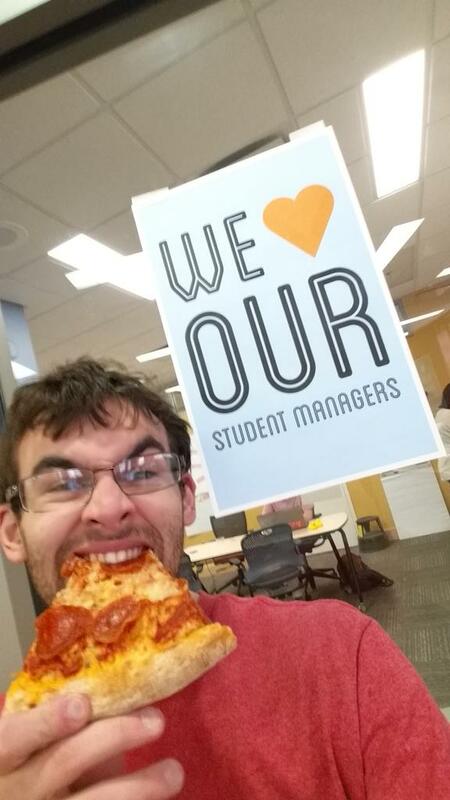 And congratulations to Student Manager Sam Papa and the staff of the Howe Writing Center at Miami University in Oxford, OH. 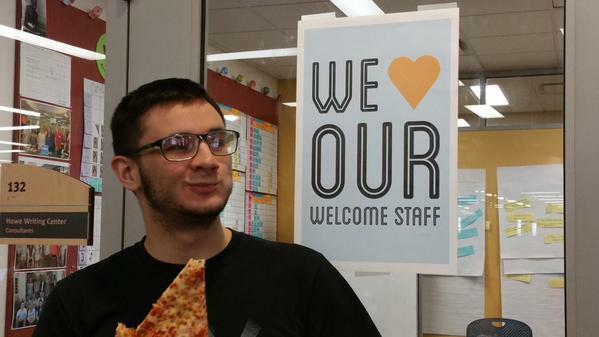 The staff of Howe had perfect participation during our #IWCWeek social media events, and won a pizza party! 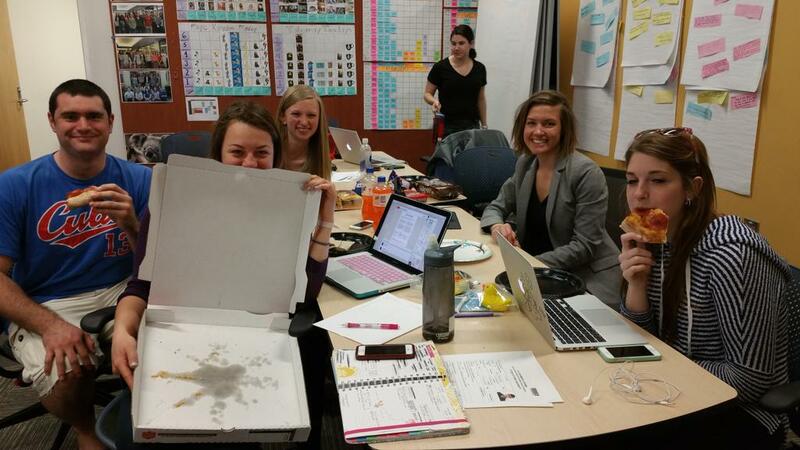 Check out some photos of the Howe staff enjoying writing-and-pizza bliss! 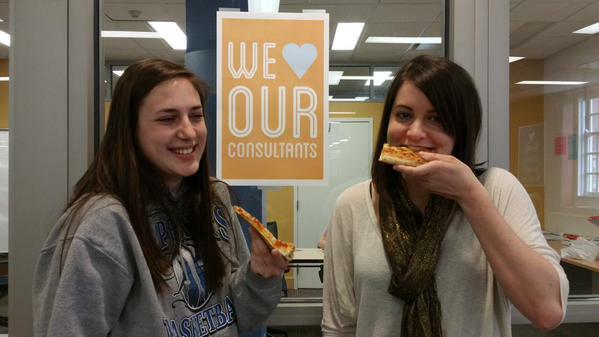 Our sincere thanks to everyone who participated in #IWCWeek! Got any ideas for next year? Leave a comment below!